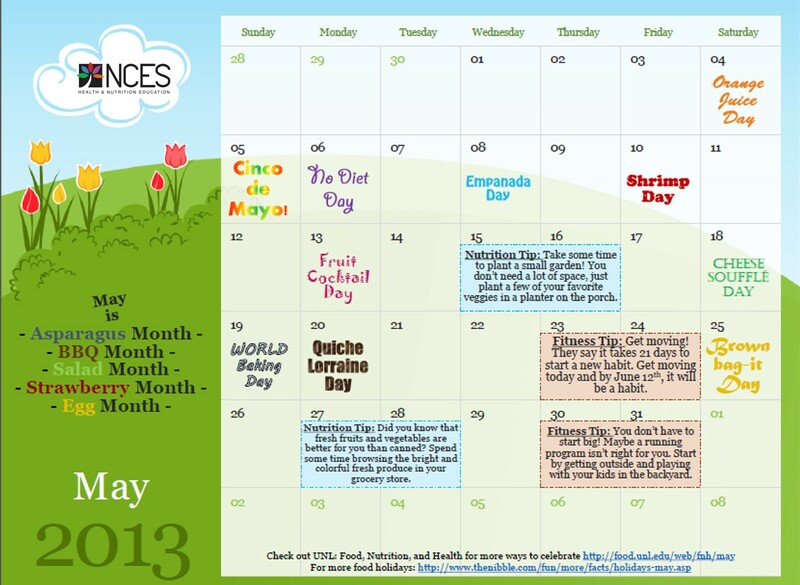 We love celebrating all of the nutritious food holidays that we can! For our most recent free download, we created a printable May calendar full of nutritious holidays we can all celebrate together! Download this free printable calendar here! Spring is here! Well, if you’re here with us in the Midwest, it doesn’t feel like it though. Regardless, April is Garden Month and we’re going to celebrate rain or shine… or snow, or sleet, or hail! 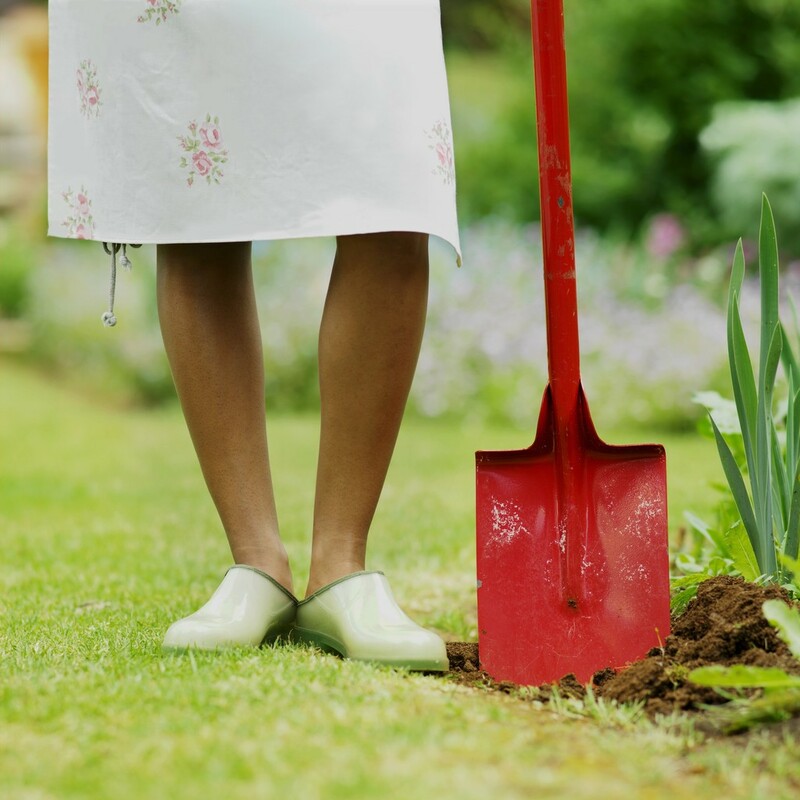 Planting a garden is one of the best things you can do for your health, and your budget. I can’t tell you how often I hear the complaint “I can’t afford to eat healthy”. Although I think there are many options for making eating healthy affordable, growing your own vegetable garden is one of the best solutions to eating healthy on a budget. Did you know that you can go to Amazon and order a pack of tomato seeds for around $2? Depending on where you get your seeds, the quality and how many you get, the price will vary. But, either way, $2 for an entire growing season of tomatoes is pretty affordable. Plus, if you grow them without the use of any pesticides, your tomatoes will be completely organic. You would pay a premium for that at the store! Other vegetables that are great for growing in your garden at home include lettuce, onions, radishes, peppers and green beans. With some of these, such as lettuce or onions, they will only produce the consumable vegetable once. But, if you plant them early enough in the season, you can often replant after your first batch and have time to grow a second batch before the end of the growing season. It’s easy to see why April is Garden Month. This is the best time to get your vegetable garden planted in order to see great results throughout the summer! Just remember, vegetable gardens need water. Be sure to cultivate your garden to keep it weed free and fully hydrated throughout the hot summer months. Can you think of anything more ideally perfect than an April picnic? I can’t! I’m sure that’s why tomorrow, April 23rd, is Picnic Day. However, many people don’t think of this perfect opportunity to get out, get some fresh air and enjoy a fresh, ‘springy’ meal. So, here’s our challenge to you: If you’re not already too busy today, take your lunch outside! Even if you just find a park bench or an open grassy space, odds are you can have the perfect picnic with the lunch you already packed. Or, if that’s not an option, take a few minutes to plan the perfect picnic for your family tonight or this weekend. Need a little help? Here are our top tips for packing the perfect picnic. Pack a well-balanced meal – This is important to remember when preparing any meal, especially for your children. Be sure to include a protein, grain, veggie, fruit and dairy. Tip: Freeze some mixed berries ahead of time. They’ll make a great dessert to satisfy their sweet tooth! Take plenty of H20 – Our bodies are composed of 60-70% water. Therefore, it is important that we consume plenty of H2O, especially when we’re active. Make it a goal that everyone consume 8 oz. of water each hour while you are out in the heat enjoying your picnic. Keep the cold stuff cold – Always remember food safety! To reduce the risk of sicknesses due to bacteria, cold foods need to remain cold throughout your trip. For any non-perishable items, a picnic basket is great. However, you’ll need to keep the cold items in a cooler with ice. Tip: Reserve the bottom of the cooler for the cold items. They’ll stay cooler down there. Think about the extras – Of course you’ll need food on your picnic. But, what else do you need? A couple things to take would be bug spray and sun screen. Sunburns are still possible in the spring, even when the sun isn’t as hot. Take a long a good ground-cover – Don’t you want to be comfortable? Sometimes, grass can leave your legs a little itchy. A good ground cover will keep you clean, and itch-free. If you’re someone who already enjoys the occasional picnic to soak up whatever sun you can, use this holiday as an opportunity to invite some friends on your picnic with you. 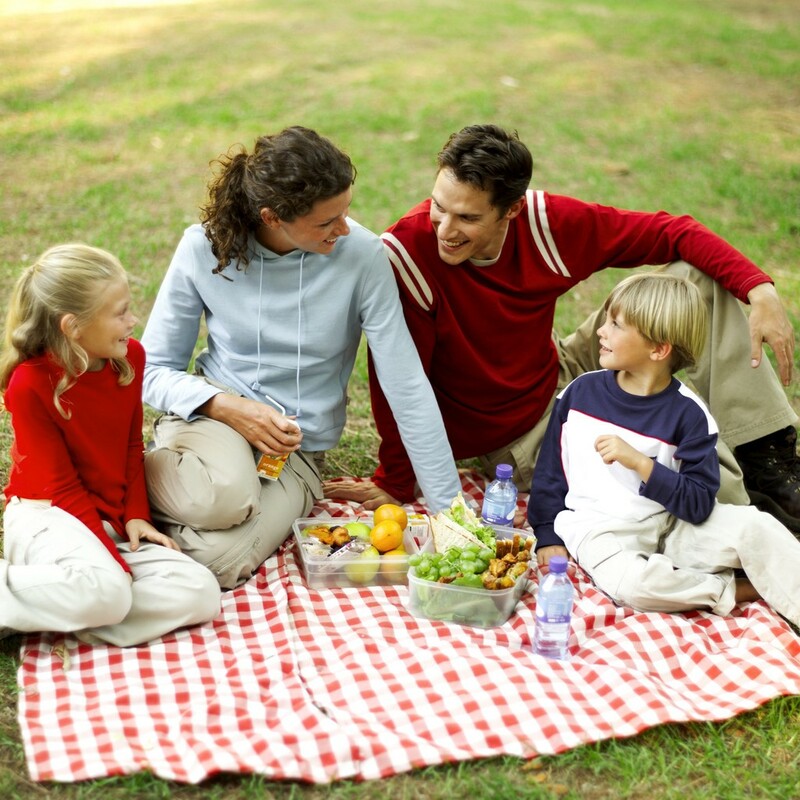 Or, invite some of your neighborhood families to picnic at the park with you this weekend. So, enjoy Picnic Day 2013. And, don’t use it as the only day each year you picnic, instead use it to get in the habit of getting outside often! There’s no doubt that soy foods are becoming more and more popular. Today, soyfood products can be found in almost every aisle of the grocery store. From the pharmacy aisle to the dairy fridge, you’re sure to find soy based foods that are, most likely, lower in fat than their counterparts made without soy. But, what is it about soyfoods that make them so appealing to a health conscious audience? One of the biggest benefits of soy is that it’s a great alternative to dairy for anyone with lactose allergies or sensitivities. Most products that contain lactose can be found in the grocery store with a soy substitute, giving your lactose-free clients the option to still enjoy many foods we take for granted, including ice cream, yogurt, etc. Soyfoods also provide a great meat alternative. From chicken and deli slices to sausage and bacon, there are soyfoods option that are made to closely resemble these food items. They’ve developed quite a reputation over the years. But, you can’t really judge them until you give them a shot! Many of these foods taste just as a good as the originals. Plus, you can enjoy them without any guilt since their fat content is typically much lower. Since April is National Soyfoods Month, we thought it was appropriate to take a minute to highlight the importance of soyfoods and why they are so popular today. Soyfoods can be found all over your local grocery store, you don’t have to go to a specialty store to find these great products. Although, if you do, you may find that you have a bigger selection to choose from. Soyfoods.org has put together a great chart for finding soy in the grocery store (http://www.soyfoods.org/soy-products/soyfoods-in-the-supermarket). 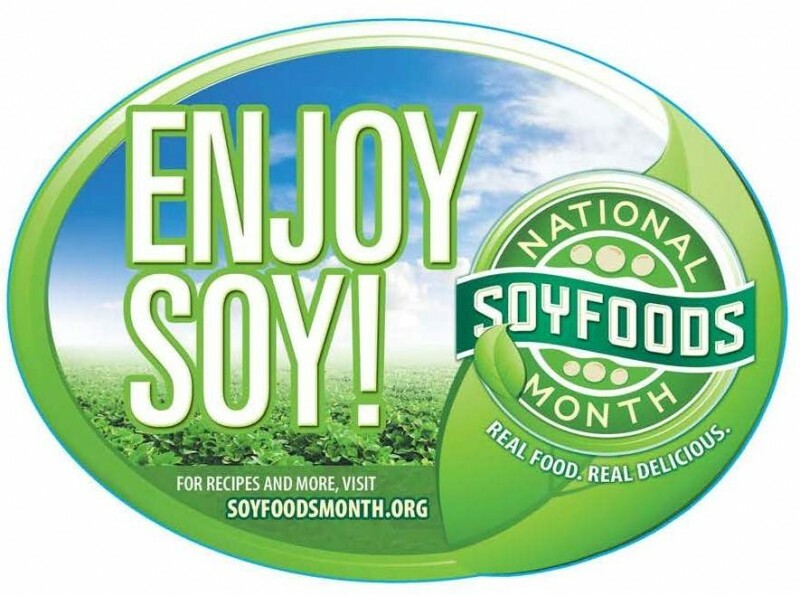 So, when you make your next trip to the grocery store, print out the guide and challenge yourself to pick up at least one soy item. You never know, you’re next favorite food may be made from soy! As spring shows its beautiful face, it seems more appropriate than ever to fill our plates with colorful foods. Right now, fruits and vegetables are starting to show up in the grocery store with a new found sense of purpose! Their more colorful, more flavorful and fuller than they’ve been in quite a few months. So, let’s take advantage of the season and eat healthy! recipes with you! Plus, if you haven’t had a chance to view our RAW tear pad, now is a great time. This handout will help you teach patients about the importance of ‘getting back to the basics’ by enjoying fresh foods and physical activity. Build your arsenal against Diabetes! In light of our last blog, we wanted to share some of the products that we currently carry for diabetes education. Thank you for all the feedback that we did receive! We are excited for the fall catalog and all the new products that will be featured in it. Although we are currently looking for new and exciting ways to enhance your diabetes education program, we have a solid line of diabetes education products currently available. Many of you already know this because you’ve used them in the past. But, I wanted to highlight a few today in case you haven’t had a chance to check them out yet. Or, this is also a great opportunity to share them with all of your colleagues by email using the button at the bottom of this post. Complete Diabetes Education Kit: Don’t have time to sift through the catalog for all of the best diabetes education materials? 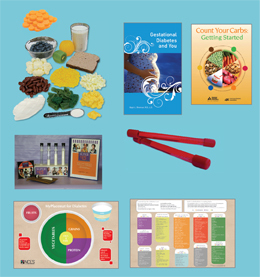 This kit includes all of the essential tools for your diabetes education program, including glucose wands, food models and more. Click here to see the complete list of items. Diabetes education is a growing topic of conversation. We intend to offer the latest and greatest in diabetes education. Anytime you have product feedback for us, or ideas for new products, don’t hesitate to share it with us through social media or email us at info@ncescatalog.com. Feedback Wanted: What’s hot in Diabetes Education? Diabetes… it’s been around forever! Well, maybe not forever. But, it’s definitely been around for a long time. And, the bigger issue is that it’s becoming more and more of a problem as time goes on. Almost 2 million new cases of Type II Diabetes are diagnosed each year. Despite our best efforts as a health and nutrition education community, these numbers continue to rise, meaning that more people are dying from this disease each year than the previous year. There are many misconceptions about Type II diabetes. Many people think they can ‘cure’ their Type II diabetes by simply removing sugar from their diet. Although this isn’t a bad idea, it’s not a cure for this incredibly dangerous disease. Or, on the other spectrum, many think that once they’ve been diagnosed, there is no going back. They are unaware that, after being diagnosed with Type II diabetes, simple lifestyle changes can reverse the effects of diabetes on their body. Clearing up these misconceptions is an important job of the diabetes educator. The basics of diabetes education are commonly known in the nutrition community. Carb counting, Exchanges, Portion sizes. If you’re a diabetes educator yourself, I’m sure you can recite many of these words, plus many others, in your sleep without any thought because you’ve taught so many classes, given multiple presentations and counseled countless individuals on the topic of reversing Type II diabetes. Through the years, the disease has stayed the same. But, the educational tools have evolved. Or have they? We’ve been noticing that many of the tools used to teach diabetes aren’t evolving with our obese population. So, we want to know. How are you teaching diabetes education? What tools do you think are most useful when you’re working with a patient whose recently been diagnosed with Type II diabetes? What information do you find is most effective in getting through to your patients the importance of making lifestyle changes to save their lives? And, most importantly, what’s missing in the field of diabetes education? As we begin preparation for the Fall 2013 NCES catalog, we want your feedback! You’re in the field every day working with patients to help save lives, what do you feel is missing? This is your opportunity to make sure that a product that could make your diabetes education program more effective or easier to teach is included in our next catalog. So, whether you prefer to leave your comments here on the blog, share them over on Facebook or Twitter, or even email them directly to us at info@ncescatalog.com. 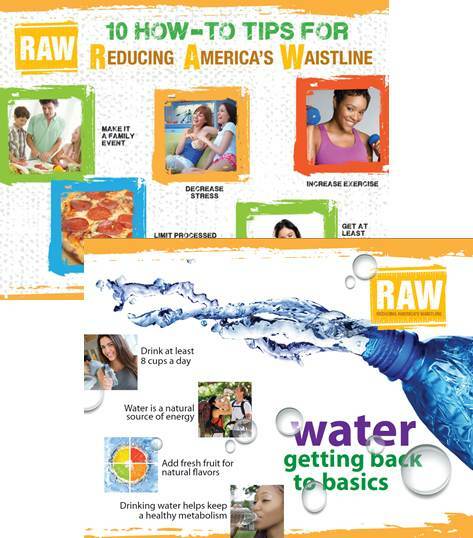 We hope you’ll consider offering your feedback so we can continue to fill the catalog with the best in nutrition education teaching aids, handouts, presentations and more!